Harbour Inn is a Chinese traditional Bed and Breakfast Hostel located in the heart of Beijing just minutes way from the mysterious Bell Tower, Drum Tower, Ditan Park and Beihai Park. where you can enjoy some quality time with your friends. 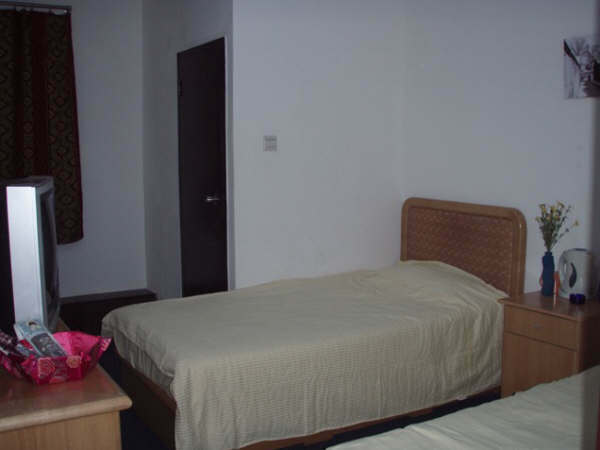 Harbour Inn offers a very warm and friendly atmosphere for Beijing tourists and visitors. Coming here you'll forget about all your problems, enjoying the relaxing atmosphere of the Chinese hutong. We offer a variety of single, twin, double, triple, quad rooms and dormitory beds, en-suite and with sharing facilities, equipped with color TVs, air-conditioning, hot & cold shower with towels and toiletry. Tea or coffee maker. 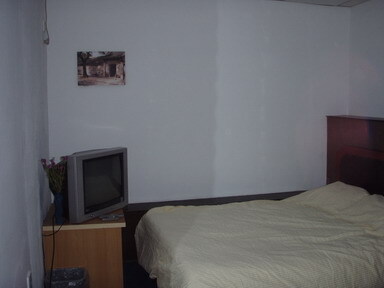 All the rates include continental /Chinese traditional breakfast, taxes and service. In the hotel you'll find a comfortable lounge where you can relax late in the evenings with a drink or a cup of Chinese tea or coffee. If you are looking for comfortable accommodation in the centre of Beijing City which is convenient, quiet and great value for money, look no further than Harbour Inn. In Beijing, you will be spoilt for choice with everything available from grand, internationally famous hotels to a small hotel. Many visitors prefer to stay in economical good value B&B/ hostels / hotels, leaving more of their budget available to enjoy Beijing's sights, shows and events. For a fun, lively and great value place to stay and party in Central Beijing you can't beat the Harbour Inn. Guests at this Bed and Breakfast get to enjoy the benefit of being located above a traditional Chinese Hutong. This atmospheric Beijing tea is a great place to soak up a real taste of the Centre. You can relax with a drink or enjoy Chinese culture. Staying at The Harbour Inn you will see a completely different side of Beijing life, which contrasts dramatically with that of Hutong. What makes us different from other hotels? Traditional Welcome on arrival and Express Check In. Complimentary Chinese traditional dinner third evening. In order to get to the hotel from the airport without hassle, we provide a very reliable airport pick-up service taking you all the way to the hotel without any problem. 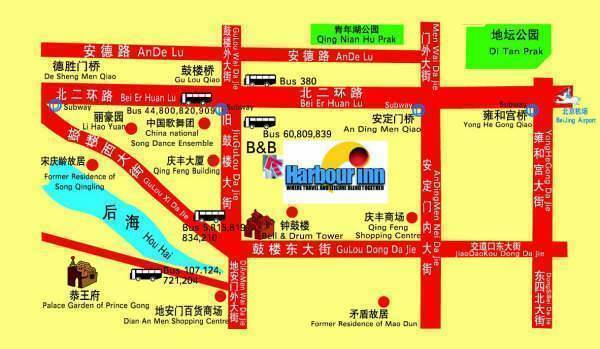 The Harbour Inn is situated on the Bei ErHuan road, Yuge Hutong in central Beijing, closed GuLouDaJie subway station which close to all public amenities and is with walking distance of Bell Tower, Drum Tower, Ditan Park. Please take \'A\' line of the airport shuttle bus to DongZhiMen, and then change subway to the GuLouDaJie station, from exit \'B\' to south 80m walk u will see left site Yuge Hutong, Top of the Yuge Hutong also see Harbour Inn. Please take subway line No. 2 (circle line) from Beijing train station to the GuLouDaJie station, from exit \'B\' to south 80m walk u will see left site Yuge Hutong, Top of the Hutong also see Harbour Inn. There are many bus lines around hotel, which includes, our staff will show best bus line to help our guests find anywhere easily.